L.E.A.P.S. 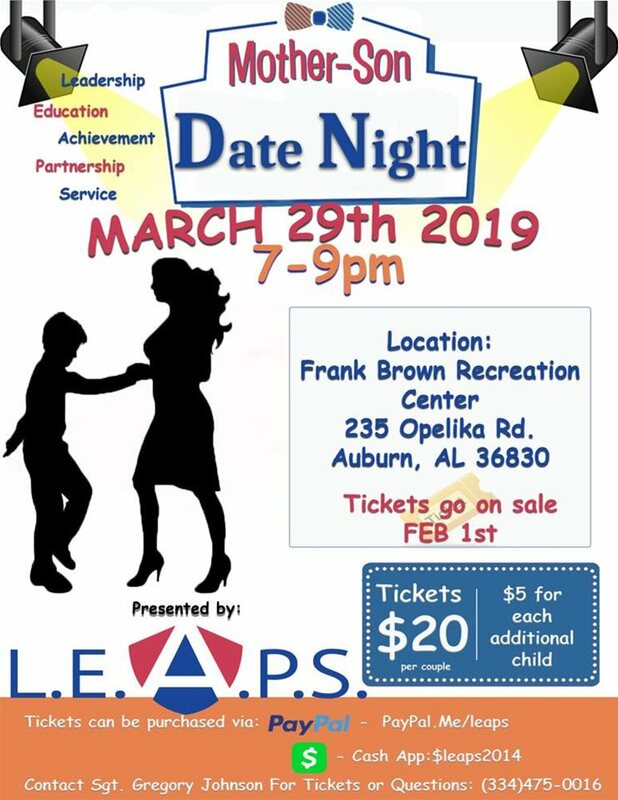 will host a Mother/Son Date Night at the Frank Brown Recreational Center on March 29, 2019, at 7 p.m.
Come out and enjoy a night of food, fun, and dancing with your favorite little men! This night includes dance competitions and best dressed trophies. You don’t want to miss it! Tickets are $20 per couple and $5 for each additional child. Tickets go on sale Feb. 1. For tickets or more information, contact Sgt. Gregory Johnson at (334) 475-0016.